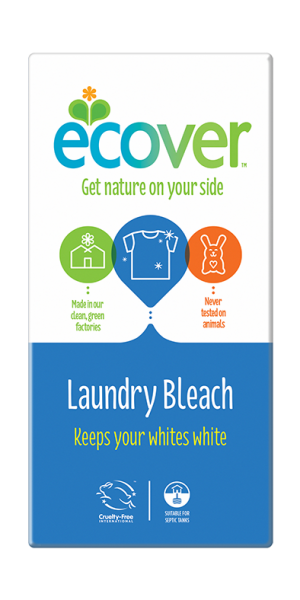 Ecover Laundry Bleach keeps whites bright naturally, even after several washes. It quickly and effectively removes all kinds of stains like tea, coffee, fruit juice, red wine and grass...not to mention baby food! 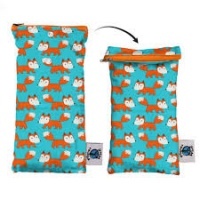 Safer for your baby as there are no harsh chemical residues left in the air or on surfaces. It does what It says. Whites are white again. No smell at all. One package Last quite long if used only for whites. Happy Customer! Briliant delivery service! Thank you! 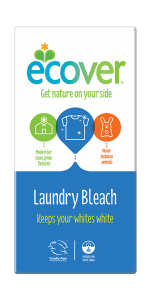 Great product, will definitely buy again, makes clothes really white and easy to use! A must for your laundry room! I did not believe whites can be white without bleach! This product prove me the opposite. And what is so nice is that you can add it to your coloured (black, etc,) items and they stay the same, only with less stains. I used it for my baby's bodies, etc. and they turned all white.